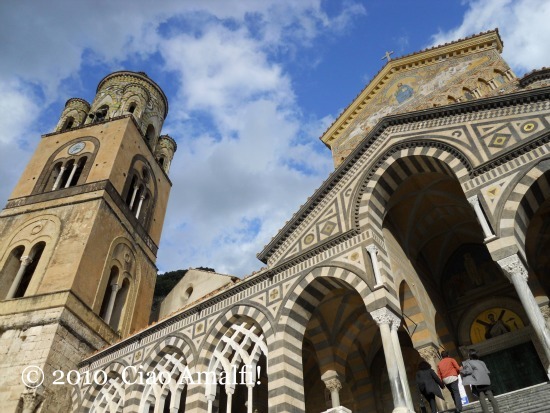 I don’t think I’ll ever tire of taking photographs of Amalfi’s Duomo of Sant’ Andrea. There’s something so intriguing to me about the design and its situation at the top of the grand staircase watching over all the activity in the town’s main piazza. While walking down the 62 steps a few weeks ago, I turned around and looked up to this dramatic view of the facade and campanile. I’m sharing it with you this week in anticipation of the Festival of Sant’ Andrea, which is next week on November 30th. You can see photos and read more about Amalfi’s most important religious holiday over at my Amalfi Coast Local Flavor Blog for NileGuide. This year I’ll be sharing photos and videos of events at both blogs. Stayed tuned! While Thanksgiving Day isn’t a holiday in Italy, many Italians do know about the holiday. Here it is called il giorno del ringraziamento, which literally translates as “the day of thanksgiving.” As an expat, it is always hard to be away from family on important holidays. I feel this even more so when those holidays aren’t celebrated here in Italy. The first years I was here in Italy we didn’t do much to celebrate Thanksgiving. Why would I go to all the work to cook a big meal to celebrate a holiday that only had significance to me? Last year on Thanksgiving I realized exactly why I would this year – because it’s enough that the holiday is important to me! Part of being an expat is finding the balance between old traditions and new ones, and holidays are some of the most meaningful traditions to remember each year. This year I’ll be preparing a traditional Thanksgiving dinner … or at least as close as I can make one here in Italy. We’ll be having turkey, cranberries (brought from America! ), homemade stuffing, mashed potatoes and pumpkin pie. The pie is a special treat made by some our of very good friends who will be joining us for dinner. And just to throw things off a bit, Thanksgiving this year will be over the weekend. What did I tell you about old traditions and new ones?! 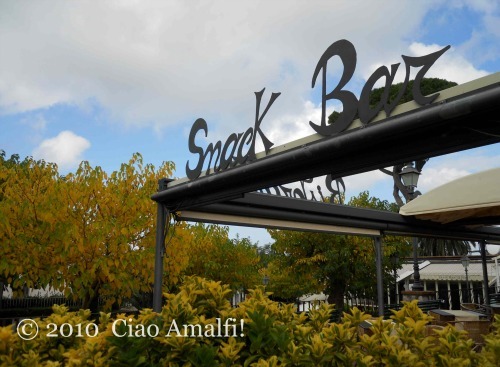 Wishing everyone … in Italy, America and wherever you may be celebrating … a wonderful Thanksgiving Day! 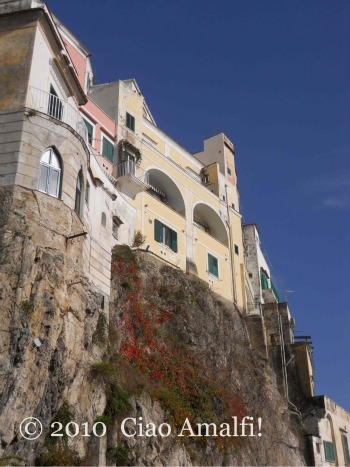 I love Sunday mornings in Amalfi, especially this time of year when the sun warms the promenades along the sea and it seems like the whole town is out for a passeggiata. 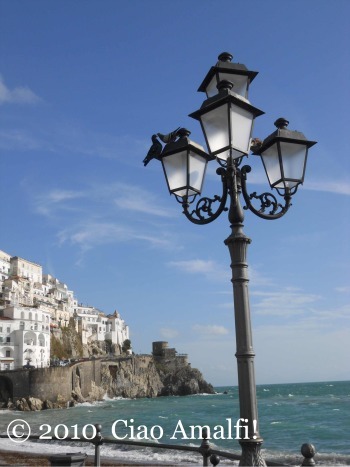 There’s something special about Sunday mornings that you can feel walking through Amalfi. People are dressed just a little nicer than usual, life moves just that little bit slower and the pastry shops are crowded with customers picking out desserts for the big Sunday lunch. When the sun comes out, it’s even better. 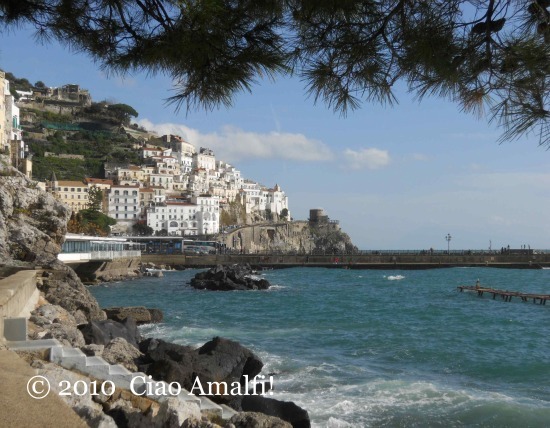 Yesterday I was out for a walk through town and it was a beautiful November morning in Amalfi. I couldn’t resist taking a few photos to share with you all. Enjoy! 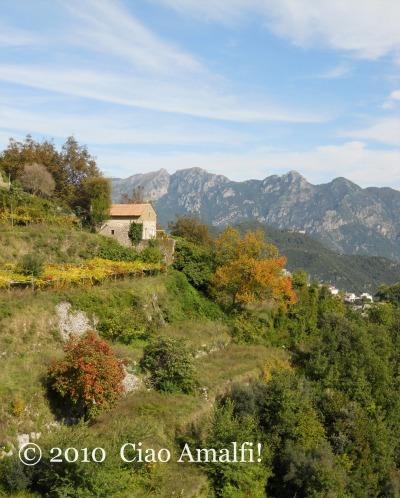 Despite all the recent rain and windstorms, it’s been a beautiful autumn this year on the Amalfi Coast. On a nice day at the end of October, I went to Capri on one of the last days the boats were running from Amalfi to Capri. (Just a couple of days before the rough seas!) The autumn colors were gorgeous, especially in Anacapri where I took this photo of the Piazza della Vittoria. It brought a smile to my face after four days straight of rain this week. Here’s hoping for a beautiful autumn weekend! I love movies, old movies, new movies, classics, thrillers and romance. They are meant to entertain and who cares if they teach us anything in the process. Often, however, they can give us glimpses into another time when mores varied so greatly from what they are today. Right then and there she quits her job and sets sail on her own romantic journey. Along the way, she awakens her lust for life, so to speak, in a number of ways. Yet, she is coy enough, or should I say wise enough, to avoid the wiles of Roman cad Roberto, colorfully played by Rossano Brazzi, and surrenders to the romance of Don who sows his wild oats with his ex-strumpet, played by Angie Dickinson, before returning to Prudence. The scenery is breathtaking. 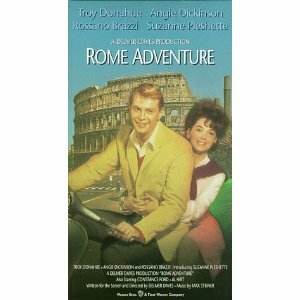 Rome Adventure is full of panoramas, both city and the country, and takes full advantage of all the views Italy has to offer, unlike today’s big budget flicks which focus on computer generated imagery and indoor studio shots. 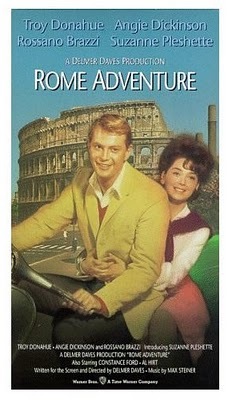 Rome Adventure is all about coming alive in the Eternal City and enjoying all it has to offer……..unlike “Eat, Pray, Oivay,” which barely gives a glimpse of the country’s lush surroundings. Watching this film nearly 50 years after its release makes me realize how far women have come in society. Then, they were romantics but always needed a man to make them “safe.” Now, we are still romantic but firmly footed in setting our own path. 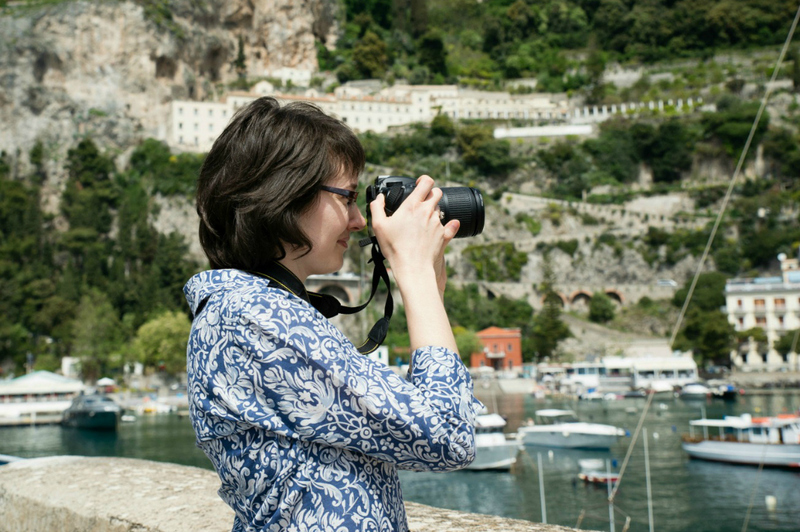 Lisa Fantino is an award-winning journalist and attorney and the Italian travel consultant and creative force behind Wanderlust Women Travel and the recently launched Amalfi destination wedding site, Wanderlust Weddings. 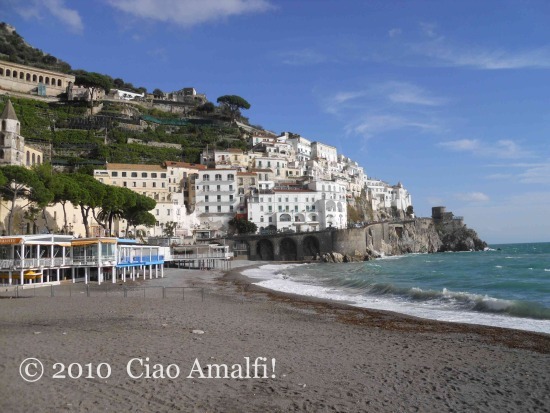 Her love of Amalfi has also inspired her to gather sterling silver jewelry and gifts inspired by the blues of the region at Amalfi Blu. She also writes travel features for MNUI Travel Insurance and blogs as Lady Litigator.